Our Amish Ripple Back Round Concave Dining Table stands out from the rest. Bring a modern, edgy look to your dining room with a table that's supported by stylish, concave table legs! Tables with legs like these will keep guests talking. Also available with a square top if you wish. 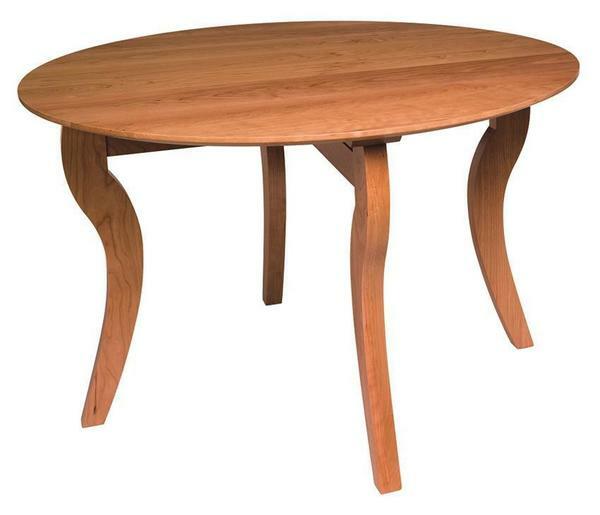 The Amish Ripple Back Round Concave Dining Table is shown here in cherry wood. The round table is a favorite for a casual feel and they are well suited for small dining rooms. Select your options online, or please email or call for personal assistance from an Amish Furniture Specialist who can help you pick the perfect wood and finish for your home. Thank you for shopping with us today.